As parents, we are always looking for ways to keep our little ones moving. What is one great resource for parents throughout the area? Signing their children up for lessons at DuPage Swimming Center. As a well-known Aurora swim club, we proudly offer our families an extensive range of benefits that make their time spent at our facility both active and memorable. 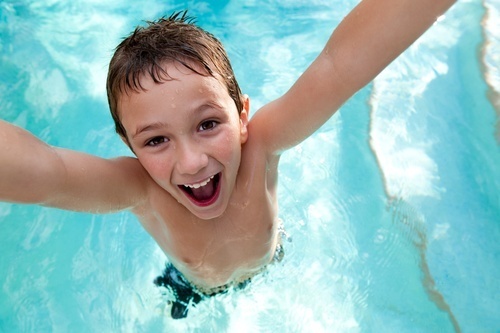 One of the biggest perks that children enjoy at DuPage Swimming Center is year round access to physical activity. Various sports and competitions often have a seasonal window. However, our indoor, state-of-the-art swimming facility offers heated water in our pools, so our students can swim no matter what the temperature outside reads. Looking for a way to build your child’s cardiovascular health? Bring them down to our pools. Most of our students have so much fun during their lessons and open swim time, that they don’t even realize that they are getting a great workout. Speaking of fun, that’s another great reason to check out our Aurora swim club. Your child will have a blast learning and socializing with her peers. Many physically strenuous activities can take a toll on young bodies. Swimming is a low impact activity that offers a lower chance of injury. Do you have a little one that wants to swim competitively? Our facility can offer the perfect forum for training and practice. What is one bonus benefit? Depending on your child’s preferences, he can compete with a team or even as an individual to ensure that he enjoys the entire process. It’s no secret that childhood obesity has reach epidemic proportions in our country. Swimming can help your little ones maintain a healthy weight as well as build and tone muscle for a lifelong foundation in fitness. Make no mistake, swimmers don’t just enjoy physical benefits; there are many mental benefits that come with this activity as well. Taking time out of their busy days for a relaxing swim can help them unwind and refocus. Best of all, our Aurora swim club offers lessons that suit little swimmers of all ages and abilities. No matter what level swimmer you currently have, our trained and experienced instructors will teach to that level so you child has a wonderful experience, from start to finish. Most importantly, little swimmers at our facility will learn key details about water safety. Accidental drowning is a major concern for parents with children of all ages. Our team of instructors will help give your child the information they need to stay safe and confident around any water situation. Do you want to hear more about what DuPage Swimming Center can offer to your little swimmer? Contact our team today!